Designed in the neoclassic Palladian style, the Cathedral was modeled after the famous church of St. Martin-in-the-fields in Trafalgar Square, London. King George III paid for the construction of the Cathedral and provided a folio Bible, communion silverware and large prayer books to be used for worship. 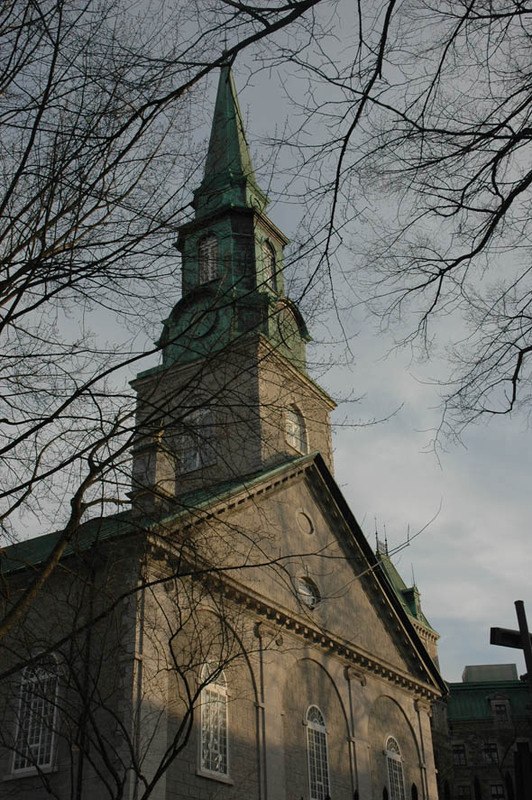 Two officers of the garrison in Québec, Captain Hall and Major William Robe (1765-1820), drew up the plans for the cathedral, a symbol of the Anglican faith in the conquered land. The cathedral was built between 1799 and 1804, the architects choosing for a model the prestigious London church of St. Martin- in-the-fields, which was built between 1721 and 1726 to a design by James Gibbs (1682-1754). This magnificent edifice shows similarities to the architecture of Sir Christopher Wren (1632-1723) with its scrupulous respect for classical forms evident in the placing of a colonnade at the front and a slender tower crowned with an elegant spire. 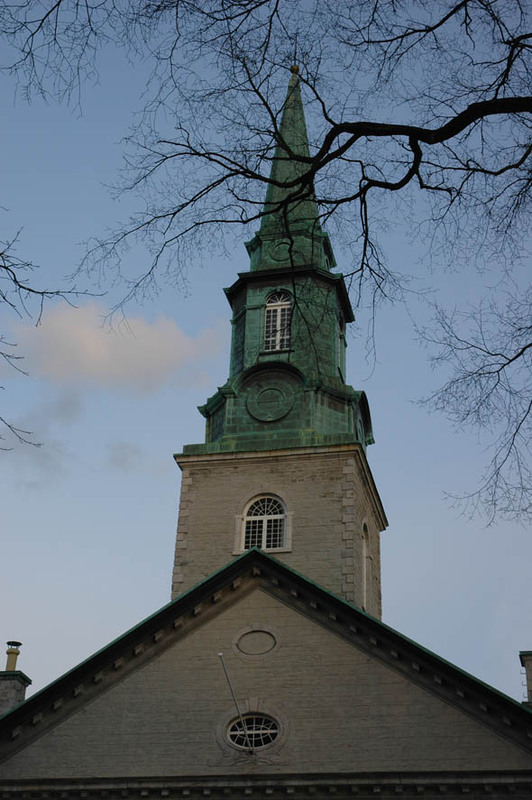 The roof pitch was altered for climatic reasons in 1818: the pediments were altered in such a way that their sloping cornices are now higher than they were when the church was first built. The bell tower underlying the steeple is thus proportionately less tall.